Most people develop habits over a lifetime of learning from their families and loved ones. We learn from a very early age how to gain approval or, alternatively, how to upset people. We are conditioned virtually from the moment that we come out of the womb of what is correct and we learn very quickly. Unfortunately for many people in the 21st Century, many of our inherited eating habits were copied from our parents and are just not healthy. Most foods people eat meat and fish for example are acidic and over time lead to a multitude of diseases. Until I discovered Alkaline water I too, was living in ignorance, not just that the food I was eating was unhealthy, but more importantly, that I thought that tap water and bottled water were just fine to drink. The bottled water industry, which is unregulated, has a bad reputation simply because, more often than not, bottled water comes from the tap! In addition, because of the dangerous BPA chemicals and estrogen that leak into the water, NO water can be safe coming from a plastic bottle. When people become sick they often grieve over why they became sick. Being sick is not a test or a punishment imposed by God. In most cases it is also not preordained by genetics. Virtually every single sickness in the world is the result of each persons habits they have accumulated over time, in particular DIET! Just two years ago I was unaware that diet is so important in our lives but fortunately, I realized in time to make the change, before illness could strike. As a matter of fact it was n´t until I bought a Kangen machine and started to drink healthy hydrogenated alkaline water and notice the benefits, that I started some research into this hugely misunderstood subject. In the past it was thought that illness was and should be, cured only by doctors and medication. Patients were passive and simple took the doctors instructions and medication prescribed for them. However, now we are living in an era where everyone must take responsibility for their own health and preventative cures are hugely more attractive. These days people are more aware of “Bigpharma“ as being a murderous organisation that kills innocent Holistic Doctors and that has no desire to cure you with their pharmaceuticals, for if they cured you they would lose a customer! Nowadays, it seems people are aware to the fact that medication can never completely cure a person of any illness, but it is ´´Bigpharma´´ that is intent on selling us endless supplies of useless pharmaceutical medicines purely for their own profit. The fact is, that the human body has the power to cure itself and through selective diet, exercise and rest, everyone can enjoy perfect health. By eating the correct alkaline foods and drinking alkaline water, one can regulate the acidity in the body which is invariably caused through the wrong type diet and the wrong acidic type of drinks. Through alkaline diet and drinking alkaline water, you will enable your body to return to perfect balance of health. You may notice that you have more energy, that you sleep better and that every single bodily function is working better. Although these are my own experiences after drinking Kangen water, I know it has actually helped thousands of people world-wide, return to perfect health over the 43 years they a have been in business. Virtually everything we eat is acidic to our bodies providing a fertile growth bed for all diseases. Enagic have been making the Kangen water filters now for 43 years and they have established themselves as the ´´Gold standard´´ and market leader in the global water filtration business. There are in total only 7 types of Kangen machines to choose from, 6 of them are kitchen based water filters and the other is a shower unit that removes chemicals from your shower water. Anespa is the Kangen shower unit that fits on to any bathroom tap fitting and enables showering in healthy filtered Kangen water. As the skin is the largest organ on the body this is imperative for long term health. The Kangen machines sit on your kitchen work top filtering your tap water by removing fluoride, chlorine and other nasty chemicals. The machines also charge the water with active hydrogen by running it over medical grade titanium plates, making the water extremely healthy and beneficial for the human body. The machines convert your tap water into delicious healthy hydrogenated alkaline water, which balances acidity in your body, returning you to perfect health. This water has strong disinfecting properties. Use strong acid water for disinfecting kitchen utensils, countertops etc.. to keep safe and clean. Eco-friendly cleaning, means you will never need to purchase bleach or strong industrial cleaners again. This slightly acidic water is recognised for its astringent effects. Its terrific to use for gentle facial cleaning, moisterizing, toner etc… and beauty care. Free of chlorine,rust and cloudiness. Neutral water is delicious drinking water but is also used for taking medication and for baby food. With a pH of 8.5~9.5, this type of water is perfect for drinking and cooking. It works to restore a more alkaline state body which optimises health. Strong Kangen water maintains hygiene in your life due to its strong cleaning effect. It has dissolving and heat conducting benefits. The agricultural industry often sprays fruit and vegetables with pesticides to protect the crops from insect infestations. Most of these pesticides are oil based, to prevent rain and crop watering from washing these toxic chemicals away. To increase shelf life, many fruits and vegetables are sprayed with edible wax, Strong Kangen water removes both the oil based insecticides and the wax. This water emulsifies with oil on contact and is used for washing fruit and vegetable cleaning, stain removal and dishes. Many people but expensive organic vegetables but then ruin them by washing them in chlorine full tap water. This water enables you to remove wax, chemicals etc… from your fruit and vegetables before cooking or consumption. Diabetes is a life long disease that affects the way your body deals with glucose; a kind of sugar in your blood. Most people with the condition have type 2 which develops when your body becomes resistant to insulin or when the pancreas stops producing enough insulin. 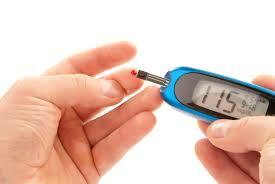 In the U.S.A there are 27 million people suffering from diabetes, most of which suffer from type 2. 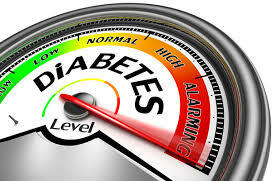 Although, there another 86 million people that have prediabetes, meaning that their blood glucose is not normal, but it is not sufficiently high to qualify as diabetic yet. 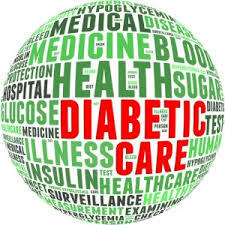 Although, doctors are unsure of the exact causes of diabetes it is believed that the majority of the cases affect people that are overweight and inactive. Although genetics factors in and exterior environmental factors also play a part. The symptoms of type 2 diabetes can be so mild you don’t notice them. In fact, about 8 million people already have it but are unaware that they have it! Apart from the causes already discussed covered, it is thought that acidity in the body is the main cause of all illnesses in the human body, including diabetes type 2. It seems everything we eat, is acidic to the body, causing oxidation or internal rusting. If, in turn you do not control your diet, acidosis can take place in the body which is a stepping stone to many other cronic illnesses including diabetes. What preventative cures are available? Try to lose weight. Aim for between 5 to 10 % of your body weight. It may be hard but you can do it, if you put your mind to it. Be active, take regular exercise. Take minimum half hour walks. Drink hydrogenated, alkaline Kangen water. Many diabetes and prediabetes sufferes have improved their health simply by drinking this water. Kangen water returns your body to natural alkaline balance enabling your body to return to perfect health. By drinking alkaline Kangen water daily, the toxins will be flushed from your body and the fat will follow, in that the fat your body stored to protect vital organs from toxins is no longer needed. How Safe is My Tap Water? Bearing in mind that between 60-90 % of our bodies and all the bodies components, are largely made up of water, I feel it is very important that we learn to enjoy clean, high quality water daily. Humans have a habit of consuming large quantities of water in and at an exceptionally rapid rate. Of course, the most convenient way to go about quenching your thirst is by turning on the tap and pouring yourself a glass. But is your tap water safe to drink? Should it be trusted? Maintaining high water quality standards is one of the most challenging problem engineers face today. Water travels from source ( lakes, rivers, reservoirs) to filtration treatment plants. Once treated, it is routed through miles and miles of pipelines before it finally runs out of your tap.This is where the problem starts because between the water source and your glass, there’s a lot of scope for contamination. From eroding pipes, chemical additives, and inadequate treatments. The consequences of consuming polluted water vary. The type of toxins ingested causes different illnesses. But elevated levels of any toxins in your water will cause health problems. From nausea, loss of consciousness, and even death in severe cases. If you live in a world with chronic pain, your doctor might prescribe you oxycodone. If you’ve got acid reflux, they might tell you to take zantac . And if you are experiencing heart failure, you will probably get some captopril. But what you might not realize is that it’s not always necessary to get a prescription to get your fill of these medications. According to a national study, drugs are detectable in our water in higher doses than previously imagined. These medications are released into our water systems through human urination, poor disposal practices, and accidental loss. Because the majority of water we consume is recycled, chances are good that when you turn on your tap, you just poured yourself a diluted pharmaceutical cocktail. Watch this video for full report. Many people still believe that U.S.A have the best drinking water in the world, but tell that to the residents of Flint, Michigan, who drank lead-laced water for more than a year, even though officials in Gov. Rick Snyder’s administration knew about its toxicity. After all, researchers found that the city’s water supply became highly corrosive after officials switched water sources to save money, and a class-action lawsuit alleges there are high levels of lead in the water supply as a result. Flint-area pediatrician Mona Hanna-Attisha, MD, also discovered that the lead levels of toddlers in the area have doubled since the water switch occurred. Alarmingly, there are 3,000 areas nationwide facing lead poisoning rates worse than Flint. Or the 218 million Americans unwittingly drinking chromium-6 (the carcinogenic “Erin Brockovich” chemical) right from their faucets. “We did an analysis and found more than 300 contaminants in the nation’s water,” a manager said. “One of the biggest problems is that more than half of those were unregulated — they have no safety regulations association with them.” As a result, the average citizen should be “cautious” about what they’re drinking. As for bottled water, more than $100 billion is spent each year on bottled water around the globe, with Americans alone spending nearly $12 billion on bottled water each year. Clearly, there is a demand for bottled water, but is it any safer? The answer is quite clear – no! Bottled water is often just public or tap water bottled, and sold for a much higher price. The Environmental Working Group points out that while tap water suppliers are required to publish all their water quality tests, bottled water companies are not. The group found 38 contaminants in 10 popular brands. Not only that, some water bottles are made of #7 plastic, which can leach a harmful chemical called bisphenol-A (BPA) into the water it contains. Even if the bottle is made of recyclable material, most people do not bother recycling—about eight out of 10 plastic bottles end up in a landfill or the incinerator. You can test the alkalinity pH value of your water simply by adding a couple pH drops purchased from Amazon. But be aware, governments put something called Lye (caustic soda) in the tap water to give an alkaline reading and to preserve the pipes. Summing up, it seems your tap water MAY be safe depending on where you live in the world, but, bottled water is a complete waist of time as can be contaminated, very expensive, zero health benefit and, the empty bottles are polluting our planet and oceans. into healthy alkaline, hydrogenated water. Please leave a note on your thoughts.